With Summer sneaking up on us, it’s time to break out all your yummy barbecue and potluck recipes. 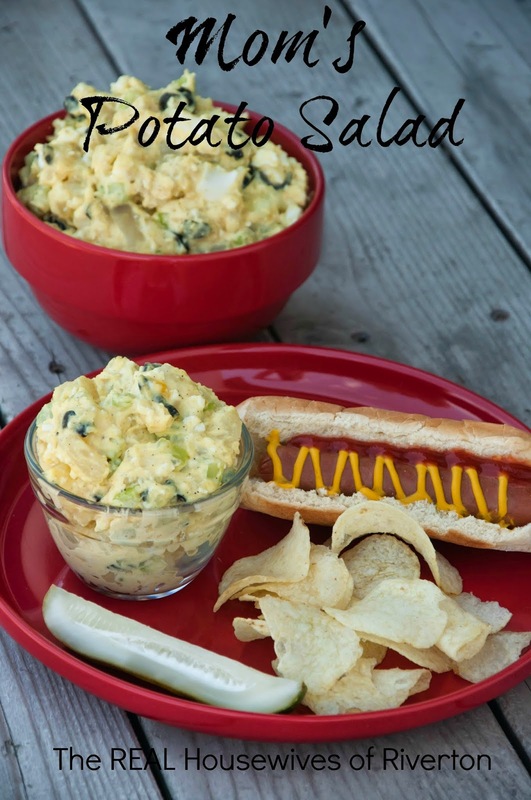 It seems that everyone has their own way of doing potato salad, so we thought we’d share ours with you. Now we don’t want to toot our own horn, but our friends always request our potato salad for summer gatherings. 🙂 It’s definitely a crowd pleaser! Boil potatoes in their skin until tender, but not mushy. Hard boil your eggs. Cool potatoes and peel while still slightly warm. Chop into medium chunks. Peel eggs and chop into large bowl with potatoes. Add the rest of ingredients and stir together until mixed well. Enjoy! I missed that Memorial Day one…but linked up to your Grad Party one! It’s a great potluck dish to bring to a Grad party! 🙂 Thank you! 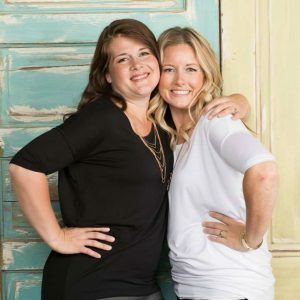 Thanks for sharing at Saturday Dishes! 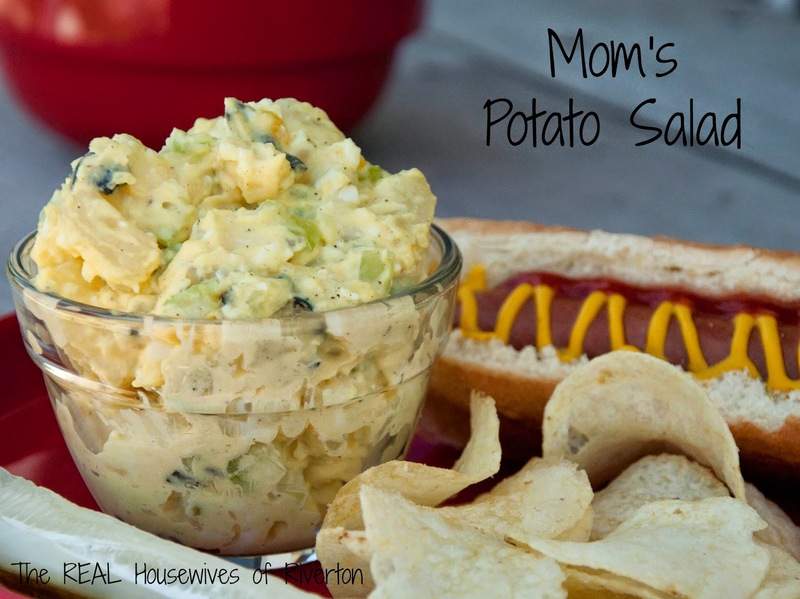 I just pinned this heavenly recipe (I love potato salad)!!! Please come again and share some more. I’ll be featuring this recipe this weekend at Saturday Dishes . . .